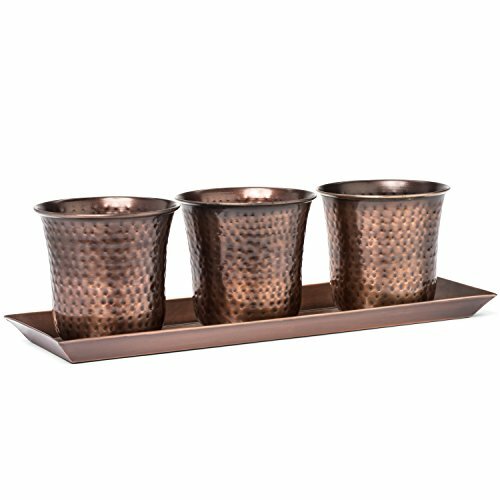 Set of three stainless steel hand hammered succulent pots with antique copper finish. Tray approximately 5 inches wide by 16 inches long. Each pot is approximately 4.5 inch diameter top opening, 4.5 inches high and includes a drain-hole. Plants not included. Indoor or outdoor planter for herbs small flowers or succulents.